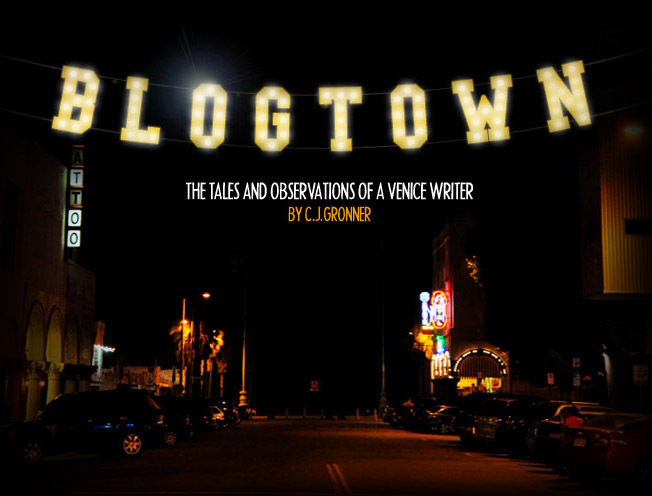 Blogtown: Venice Sign Lights Up The Holidays! Venice Sign Lights Up The Holidays! 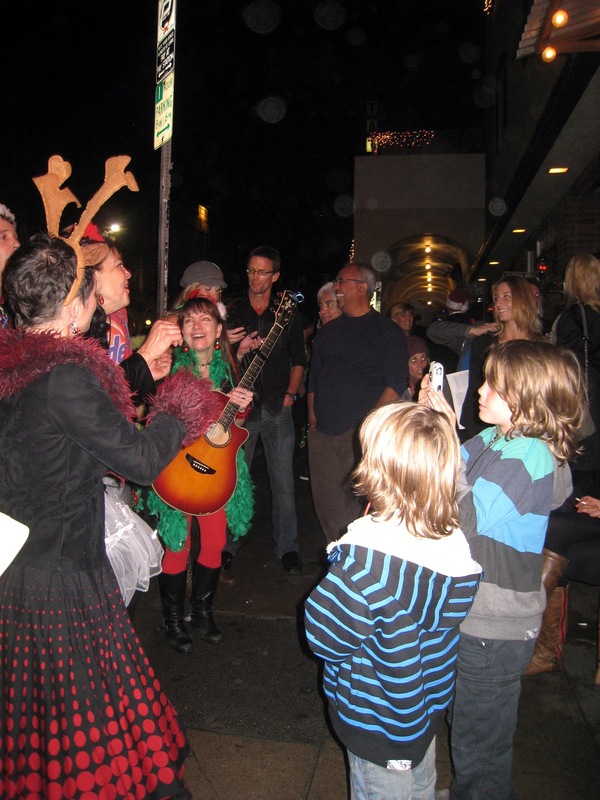 Friday night was exactly what Venice needed ... a good, old fashioned community event. It seemed like most of town was gathered on Windward to behold the lighting of the Venice sign for the holidays. The mood was festive, especially because everyone had been holed up inside all rainy day, but the skies cleared just in time for this fun, and the almost full moon lit up the evening too. We spent our pre-show time at The Townhouse happy hour, complimenting the night with good, old fashioned drinks ... like Old Fashioneds. That warmed the insides as my gang headed out to the stage to hear Suzy Williams and Brad Kay belt out their holiday tunes. The band Venice took over next, warming the crowd up for the sign lighting. (The booth serving hot chocolate, courtesy of The Townhouse, also helped a lot with the crowd warming). In true Venice fashion, it was a little disorganized, with a lot of behind the scenes talking into live mics, and that type of thing, which kind of made it all even more endearing. Councilman Bill Rosendahl and actor Robert Downey, Jr. (shouts of "IRON MAN!" from the crowd) had the honor of flipping the switch. Downey, Jr. gave a surprisingly sweet speech about wanting to be a part of Venice, and its community, and something about this is where the weirdos live so he wanted to live here too (the Old Fashioneds prohibited exact verbatim recall), something along those lines anyway, and he impressed me with what I felt was genuine community spirit. Which is exactly what we need in these times of luxury gentrification and splintering views on all of that ... I just didn't expect to hear it from a massive celebrity. I'm a bigger fan now, for sure. 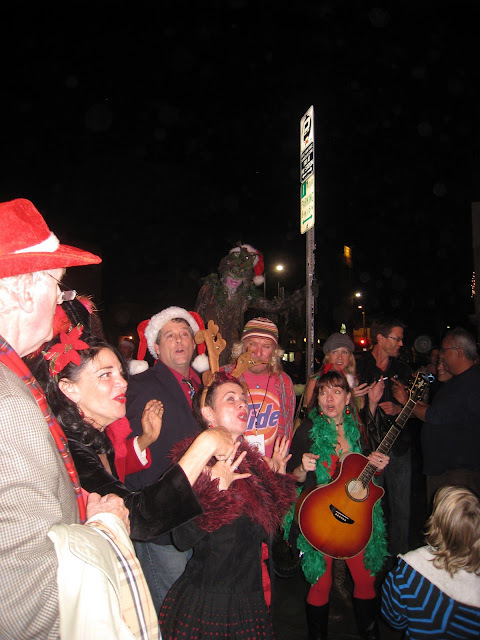 The Venice sign came to life in its holiday outfit of red and green lights, and the crowd oohed and aahed appropriately. It was all perfectly adorable. Firehouse 63 showed up in the big ladder truck with Santa on top waving to the kids, and the Holiday Season was officially opened. The crowd around Windward dispersed to get into their night's fun, and for us that meant heading back to The Townhouse. 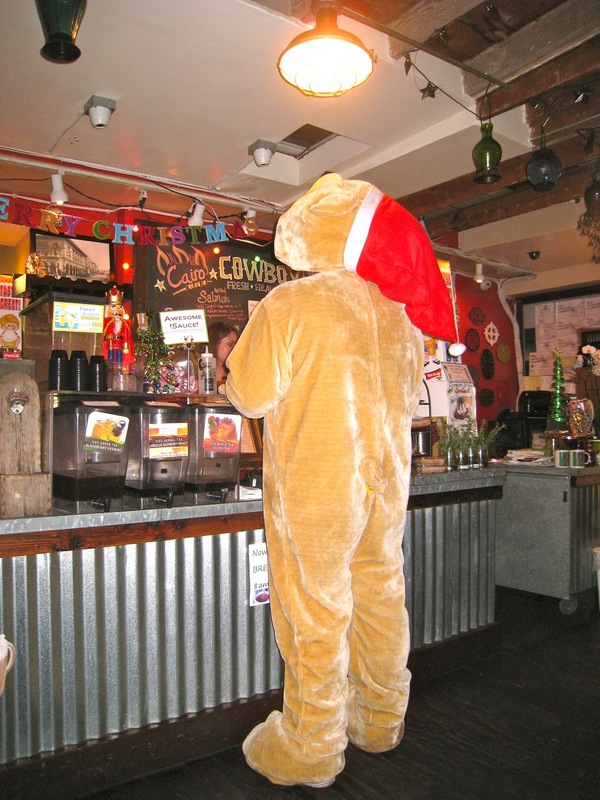 After more of those hijinks, we realized we were starving, and headed next door to Cairo Cowboy, where we got in line behind this Santa Dog. Nobody batted an eyelash inside. As we waited (and waited ...) for our food, we were charmed to find a group of Christmas Carolers lined up outside to serenade the diners and people gathered on the sidewalk outside. Suzy and Katherine and Mark Lennon and friends all sang the holiday standards with gusto, and everyone in ear shot joined in ... even the Tree Man! I was so happy to have these feelings and fun times in our Venice, and thank all the people that have such beautiful spirit living inside of them, to put on things like this for the friends and neighbors in Venice, to celebrate this special and unique and weirdo place we live. HAPPY Holidays, dear Venice!!! May they be merry and bright for everyone!!! For sure it was a nice experience. I am glad you had the chance to visit this wonderful place.